good, I unfortunately cannot say the same for each and every teacher in Singapore. You’d probably know this by now: The probability of your child getting a capable and effective teacher is… completely left up to chance. To put it simply, you have zero control over the quality of teachers your child gets in class. And being in a top schools doesn’t necessarily guarantee good teachers either. I’ve seen poor teachers in top schools, and great teachers in neighborhood schools. When your child gets sub-par teachers, they’d be in for a hard time. 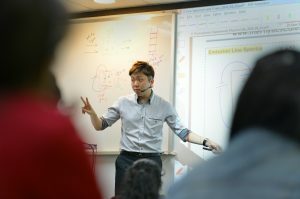 Some teachers aren’t able to articulate concepts well, while others are heavily reliant on outdated​ strategies such as ​memorising, regurgitating and drilling. If the school lessons are ​ineffective​, it means your child has to spend extra time to learn the content on his own. This results in them wasting time when time is already very limited for them. If you’re reading this, your child is probably in his teens or is already a young adult. They should already be able to judge the competency of a teacher from a few lessons. That gives you the opportunity to understand your child’s learning environment based on his or her lessons in school. ● How’s your child’s Physics teacher like? Is he or she good at teaching? ● Is your child coping along in Physics Class? ● Is your child spending a lot of time on Physics? ● Does your child get stressed out due to them being unable to catch up with his or her classmates? Your child’s response would give you a pretty good indicator of whether they require tuition or not. Here are some ​red flags​ you should watch out for. intuitive, but sending your child to Physics tuition can save them valuable time if they’re currently struggling. If your child is slogging like an ox to pull up their Physics grade, then it’s likely he or she is studying the wrong way. Many of my students commented that what they’ve learned in a 2-hour tuition session is equivalent to 10-20 hours of work on their own. That’s close to 5 to 10 times ROI in terms of time-savings. ● I do my best to communicate with every student to understand their challenges. I also collect feedback from them regularly so that I can tailor my lesson content according to their needs. ● I’ve taught Physics for close to 15 years and I’ve never stopped refining my process of breaking down complex concepts into simpler, intuitive and relatable ideas. ● My lessons are structured such that your child only gets to practice questions only when they’ve digested the fundamental concepts of each chapter. Mr Sim has the knack for explaining concepts in a way that anyone can understand by making it relatable. He draws links from chapter to chapter whilst going into the crux of every topic, allowing us to see the Physics syllabus from both macroscopic and microscopic views. In secondary school. Physics was always my most hated subject. I disliked how there seemed to be so many hidden elements to a single concept, and that none of my teachers could offer me reasonable explanations as to how things really worked. So yes, I memorised my way through ‘O’ Levels. Not fun. Boring. But I remembered being mindblown after my first lesson with the Physics Cafe. Gone were the “Don’t ask so much, just answer like this” days. Mr Sim ensures that every possible lingering question any student has is answered. If you’d like to drastically shorten your child’s learning curve and maximise their learning efficiency, then you can then sign up ​here. PS. 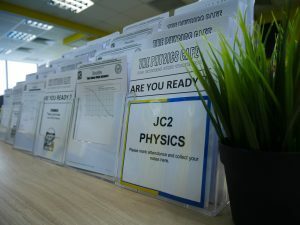 Our fees might not be the cheapest, but we have the largest intake of Physics and Math IP and JC students in Singapore. We also occupy the entire level of a premium building which is bigger than half a football field. 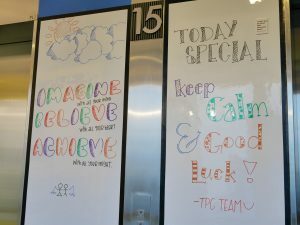 Our tuition center even has our own library, cafe, and shuttle bus. That’s how committed we are in delivering quality education and service to our students. For more information about The Physics Cafe, check out here now! 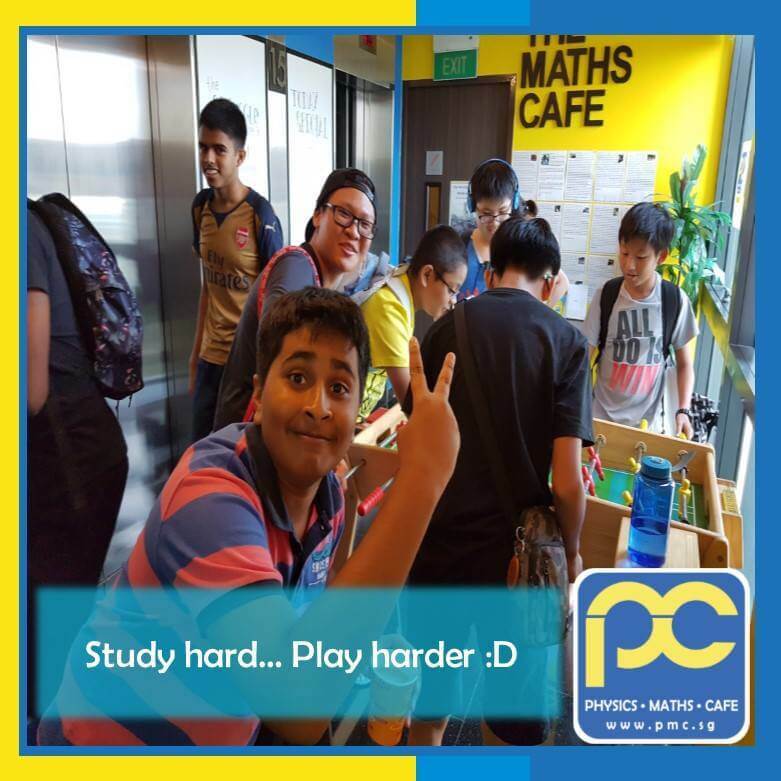 It’s no mean feat for a tuition centre to consistently distinguish itself in the competitive Singapore education scene, but THE PHYSICS & MATHS CAFE has done just that for the past ten years and counting. We’ve been producing top quality grades at the annual GCE ‘A’ Level examinations, Hurray!! Wait, there’s more… The quality and consistency of our notes are renowned for its SECRET RECIPE! Interested to find out the KEY ingredients? Or Want to try our ALA Carte service? Sign up here at www.pmc.sg! Its Mid Year Exams season, and I hope everyone is doing fine with their first big exam of Year 1. Maintain the high standards you’ve shown in class and secure top scores! Closing off the term, as exams pass, we’ll be focusing on new topics like number patterns and geometry. It is a good opportunity to ‘enjoy’ these topics without exams looming, and we can prepare more special quizzes and unique question types. Through June, we can begin to rev our engines and look towards the 2nd half of the year where the real work will kick in. The June programme involves the firming up of critical algebraic fundamentals as well as a headstart in further algebra. Complementing the current practical approach to math, we will be looking at simple graphs and their applications, as well as a full lesson dedicated to application based questions. Work hard, then play hard, but don’t forget to keep the momentum going! You are now in your last lap of the A-level journey. We would have completed the entire syllabus by the end of this term. In a few more weeks, you will be having your June holidays. This is a critical period for you as it’s the last opportunity for you to re-visit all the topics in all subjects as you prepare for the BIG exam. If you allow these 30 days to go to waste, you will never get another opportunity like this again. I will show you the facts. Most of you are having your common tests in July and after you get back your results, you will be having your Prelim 5 weeks later in Sept. After your Prelim, you will have another 8 weeks to your final A level Exam. This exam is what you have been preparing for in the past 6 years since secondary school. During this June holiday, we will be coming back for 7 lessons of 4 hours each (28 hours) to revisit EVERY TOPIC. Each of you will be given a book of secrets. We will write down all the concepts and the different types of questions into this little book of secrets. Your seniors and I have gone through all these and we know that this June holidays intensive revision is very important. It allows us to achieve a close to 100% A and B in the A-level exam. It is compulsory for all students of The Physics Cafe to attend the lessons. We shall celebrate after the June holidays by giving ourselves a well-deserved break in after the holiday. As we move towards the tail end of Term 2, everyone’s focus will naturally be drawn towards the upcoming Mid Year Exams (or Common Tests, BT1, etc….). For many, this will be the first full paper that you are taking, and it also presents an invaluable opportunity to take stock of your progress. Whether you’re having a head-start or revisiting the topic, we aim to take you through a structured approach to the topics with a wide range of practice questions and concise mindmaps like no other. Also, the centre is making special arrangements to cater for students who have a heavier focus on other topics, like vectors. Thanks to our extensive experience, we are able to prepare schedules that allow for students to cover the important topics for major exams, regardless of their JCs. Check out our schedule for the different classes available. All this culminates in our intensive June Holiday program, which will provide students with a comprehensive revision scheme including concept revision, grade-A type questions and topical tests. 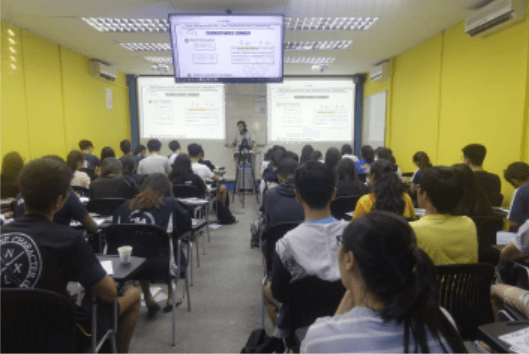 J1 life can be full of events but when it comes down to preparation for the mid years, trust us to take you through it with our time-tested workshop. As promised at the start of Term 1, we are progressing well to finish the A-level syllabus by the end of Term 2. Take a deep breath! By end of Term 2, you would have learnt all the content and be able to finally revise, consolidate, connect the dots and tackle wider varieties of questions. So what lies ahead in June? There will be greater emphasis on problem solving strategies (this is very important!) and exposure to higher order thinking questions. Each of you will also get a takeaway package for all topics, complete with detailed work solutions. 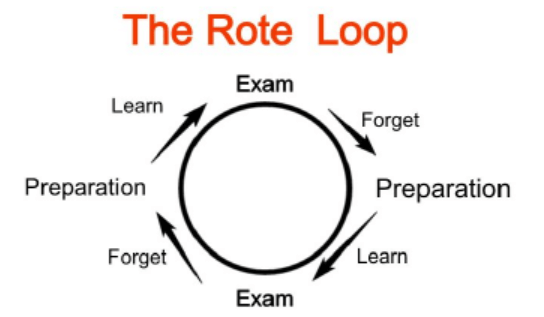 When you come back after the June Common Test, we will be going through a 2nd round of revision, tackling a few topics each time, trying to solve more interesting questions at a faster pace and more intensive pace. We will also help you form a summary for each topic, because summaries are the most important resource to tap on when you are doing your revision at the last stage. I am sure by now, you know the difference between the requirements in secondary school and JC. Everyone around you seems to be very motivated and passionate to learn and excel. They are stressed, but are excited that there are challenges ahead. 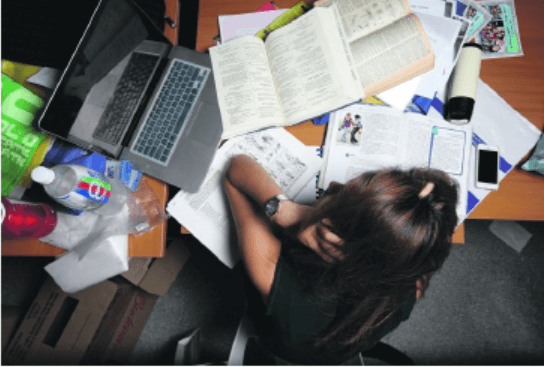 You probably realise that you may top your tests every year in secondary school previously, but even you will have to work hard to catch up with lectures and tutorials now. Since the beginning of this year, the accelerated rate of our lessons has ensured that you understand the essentials of each topic even before your schools covered them. We are amazingly fast, completing each topic within 2 lessons. Fast, not because we are running out of time, BUT because we are concise, and we learn to see things in a different way, the way smart students would. The 1st lesson of the topic is a crash course of what you need to know. Unbelievable isn’t it, that we can be so clear and concise – compressing everything that your schools cover in 3-4 lectures into just 1 tuition lesson. The 2nd lesson is where we look at carefully selected 2016 Prelim questions from the topic to train our problem-solving skills. We show you how smart students approach questions, and we zoom into the methodical thinking behind solving each question. With just these 2 lessons per topic, you will learn to look at a question and instantaneously understand what concept the examiner is testing, and therefore gain an edge over your peers when solving the question! Am I trying to give you more stress than you need? Yes I am, but I am giving it at the right time. My advice is that you do not waste the June holidays. Trust me. 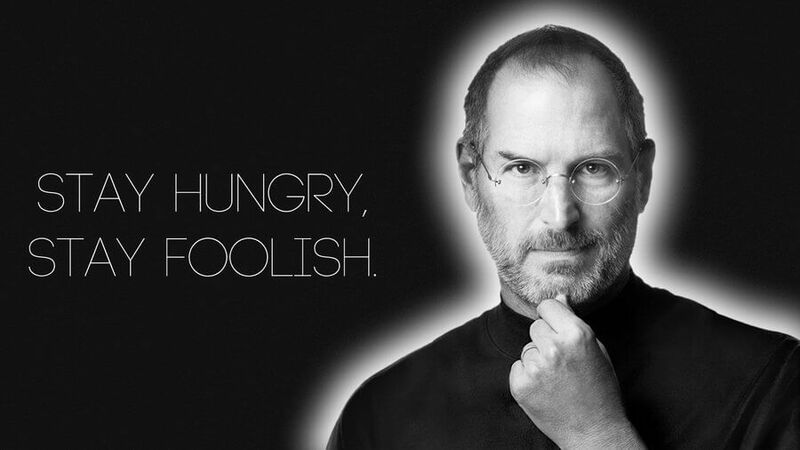 Use that time wisely to reinforce your concepts from every subject, every chapter. You will be doing yourself a favour by doing so. here is an update on our students’ learning this term. Algebra topics (Expansion and Factorisation, Algebraic Expression, Algebraic Fraction, Solving Equation, Simultaneous Equation, Quadratic Formula, Changing Subject) will be the bulk of the questions tested. These topics have been explained to students in the simplest possible way in the booklet. Here, students have plenty of math help while learning algebra step by step. After completing Set A , B and 2 mock papers (each set consists of both paper 1 and 2), students will have a good idea of their math competency. The Sec 1 revision guide booklet is also given to help students brush up on their rusty sec 1 topics (those that are tested). To study math, we actually need to solve problems and the more you practice, the better you’ll do. But the exam is just round the corner and there is not much time left! What can be done in the last few minutes? Here are some tips for your exam day. 1. Memorize the steps given in Algebra Booklets well. 2. Sleep early the day before. Good sleep will help you perform better during the exam. Wake up early so that you do not need to rush through breakfast and getting ready. 3. Check that you have everything that you will need, especially your calculator. 4. Have a piece of dark chocolate if you feel nervous before the exam. It will help you to clam down. 5. Read the entire question carefully before starting to answer and quickly plan how much time you should allocate for each question. If you are struck on a question, move on and come back to it later. If not, you might run out of time to answer the other questions and lose those extra marks. 6. Use every minute of the exam and if you have time left, review your answer with the help of a calculator ( especially important for those of you who always make careless mistakes). After the MYE is finished, we will be moving on with coordinate geometry and quadratic curves. There will be a one week post-exam break before we start our term 3. We target to finish all the topics by term 3 so that we have ample time to revise for year end exams. 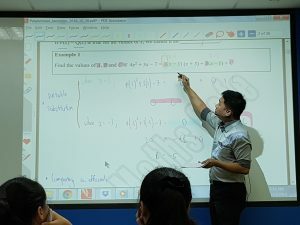 Term 2 is probably one of the most chaotic term in schools as teachers are rushing to finish up the syllabus and throw students into their first major exam in Sec 4, leaving them no time for revision. Luckily for us, we have finished the required syllabus in week 4 and would be spending a good 2 weeks of revision to get students ready for the MYE. But how are we going to do that? 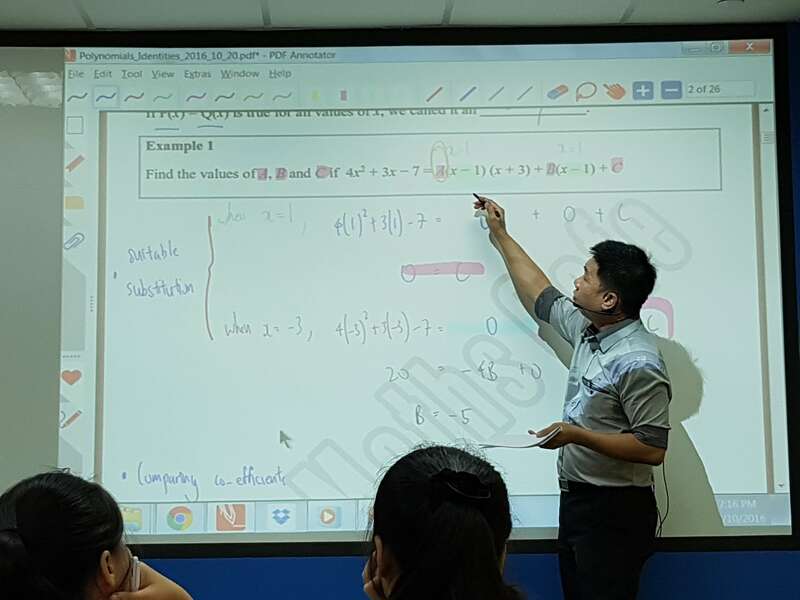 After completing Set A, B and C (each set consists both papers 1 and 2), students will have had a good brushing up of their rusty Sec 3 chapters. Students will also be receiving our signature colourful, super summarised mind-map of all the chapters. This is extremely handy when students are doing school revision papers. Once students have finished their MYE, we will complete the last chapter on Applications of Integration and thereby completing the entire syllabus!!! If you happen to be one of those who will be having his/her Prelims in late May, no worries as we will be completing the syllabus in time for you as well! 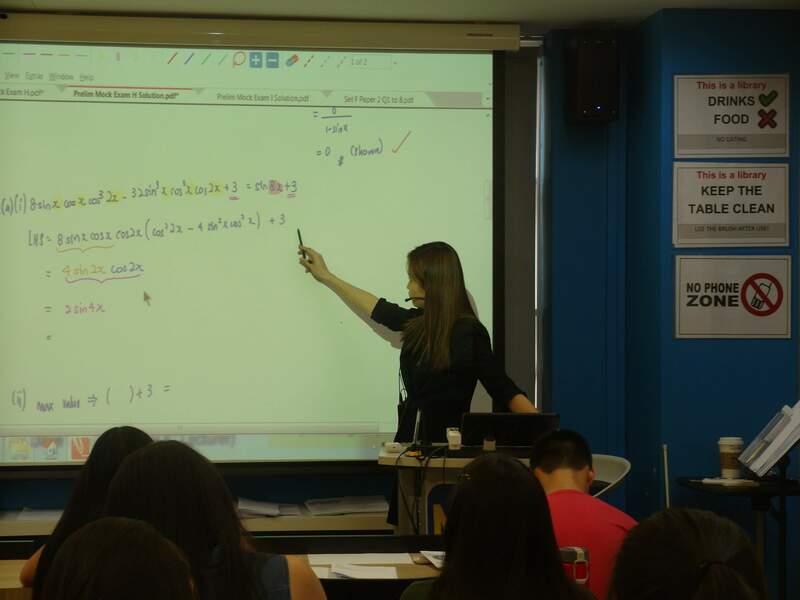 There will be a term break for the Sec 4 students in week 10 before they come back for an intensive topical revision course in June. Details will be given to students in a separate email. We will be consolidating all the summary and mind maps of every single topic into a booklet. But not all hope is lost. That is if you stick closely with our revision schedule. Do not be too worried about your sec 3 physics topics. We will be having a Crash Course Revision during the June holiday to revise all Sec 3 topics! Better still, we will offer you lunch and dinner in a 20 mins break. 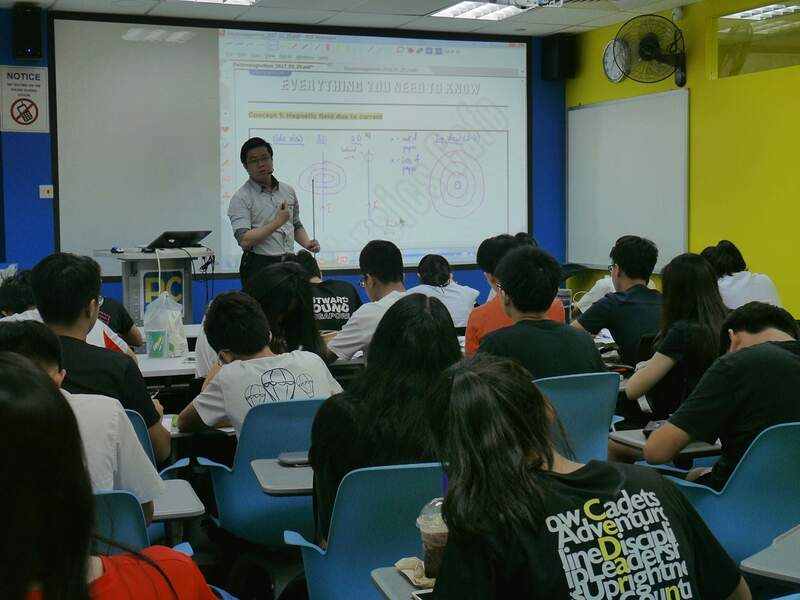 Last Minute Rush for Sec 4 Physics MYE? We are not fans of the art of procrastination. And it’s also not because we love the thrill of leaving things to the last minute. Let’s break it down for you. The MYE is before the holidays and we may not have the time to be 100% ready for the exam. It does not help that the sec 3 topics will be tested as well. Having said that, there’s no excuse for not scoring well for the sec 4 chapters (Static Electricity, Current of Electricity, Direct Current, Practical Electricity and Magnetism). Lets just hope that the divine powers will grant you your prayers and that your schools will set more questions on the sec 4 topics! In view of that, we will be investing 2 precious lessons on these chapters looking at both the popular MCQ and challenging long structured questions.